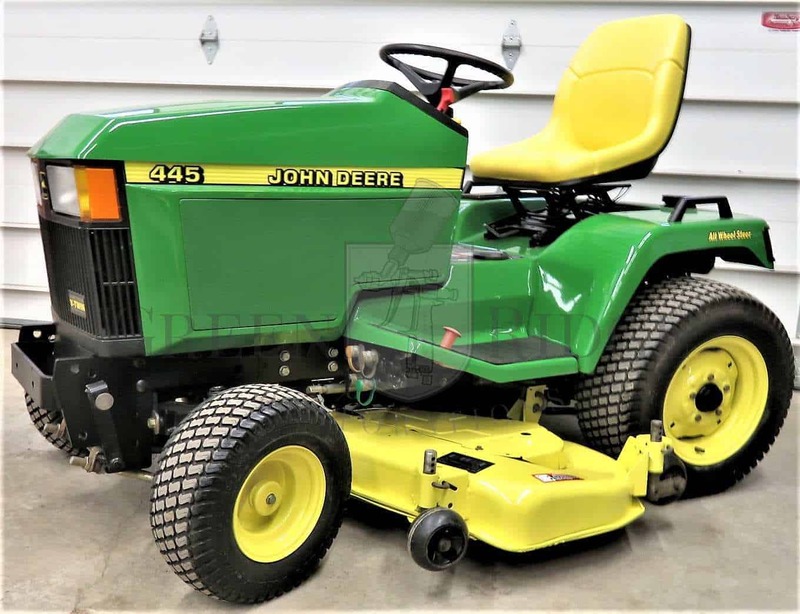 From 1993 to 2001, the John Deere 445 was part of a brand new generation of John Deere lawn and garden tractors. The Deere 445 is appreciated for what many consider its more “modern” conveniences versus Deere’s earlier garden tractor models. A major improvement to the John Deere 445 tractor is a foot controlled hydrostatic transmission versus the earlier series such as the 318 that instead used a hand control on the dash. Learn more about the John Deere 445 right here.